Be still, my beating heart. 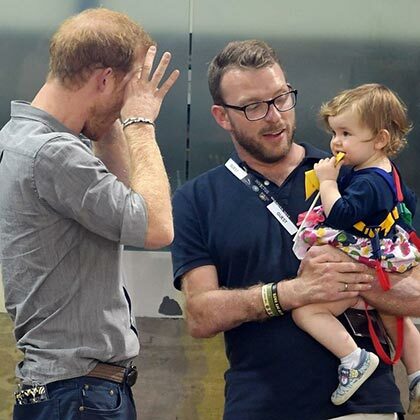 I thought I was immune to swooning over men with kids (dogs, not so much) but it turns out that when it's Prince Harry I'm as weak-willed as they come. 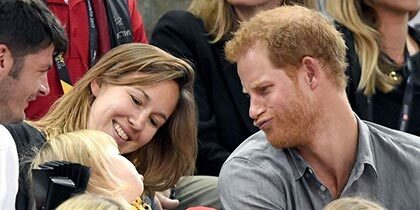 While Harry has mostly been showing off girlfriend Meghan Markle for the first time in public and supporting athletes at the Invictus Games in Toronto, the royal did manage to find 10 minutes to be ABSOLUTELY ADORABLE with the daughter of an athlete by making a bunch of silly faces. 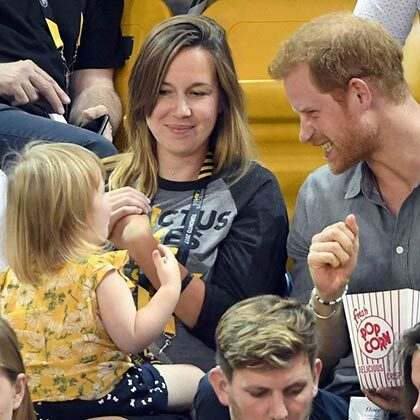 Harry was set next to Emily Henson, daughter of former Invictus competitor and Paralympian, David Henson, when the two-year-old—who clearly doesn't know or particularly care who Harry is—reached over and took some of his popcorn. 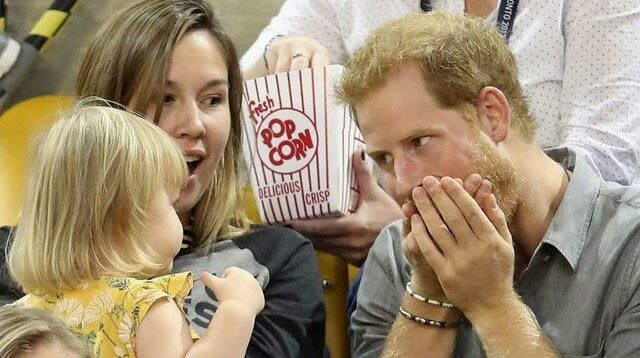 Once he realized what was happening to his dwindling food, Harry proceeded to make faces at Emily. She gave it right back, and the two had the sweetest interaction. 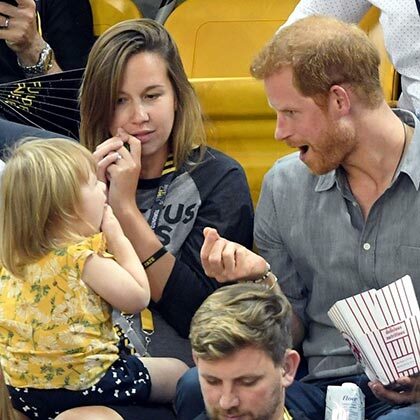 I mean, if all it takes to get Harry's attention is to have some of his food, then I can totally do that. 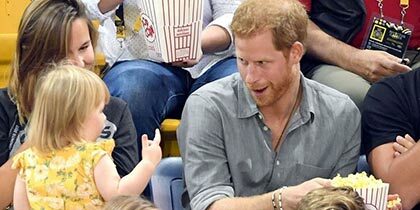 Obviously, because he's super charming, Harry then went off and found another kid to make faces at. 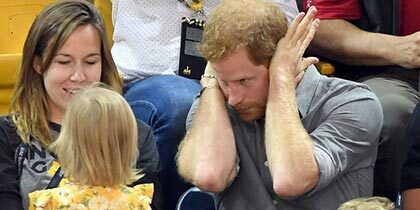 Now, not to widely speculate about Meghan Markle's uterus and Harry's family plans, because that's totally their business, but this behavior does certainly seem like a clear indicator that Harry is loving being around kids RN. 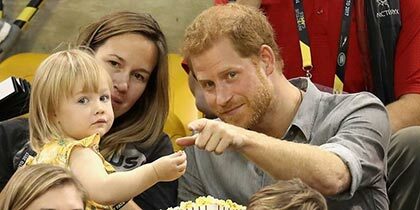 Good job his sister-in-law, Kate Middleton, will give birth to a new baby niece or nephew next year, right?